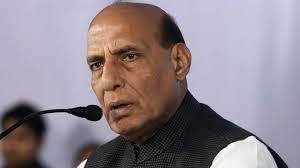 NEW DELHI: Union Home Minister Rajnath Singh today took burning issues of burgeoning traffic due to rapid urbanization and rumor mongering through the new-found social media as major challenges before the police authorities in the country. Mr. Singh was present here to inaugurate the 2nd conference of young Superintendents of Police. The two-day conference was held and was being organized by the Bureau of Police Research and Development (BPRD) that functions directly under the Union Home Ministry. “The police has numerous challenges and with rapid urbanization, traffic management is becoming a big problem. We (the police and security establishment) will have to think about it and find effective solutions,” the minister said. Speaking to the SPs and Commandant rank officers belonging to various state police and central paramilitary forces, the Home Minister commented over the issue that the spread of rumors on social media was a huge problem. Recently we witnessed that there were some movements and protests in the country but no meeting was held ever to strategize these actions. However a single message on social media platforms did all the job, he added. 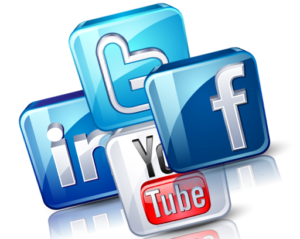 “There is no doubt that social media is a good tool too but it should be ensured that it is used constructively,” he said. The Home Minister also spoke over the issue of the present image and working conditions of the police personnel in the country. While everyone among the citizens expects the policeman to be courteous and more efficient, which he should be, the difficulties faced by them (police personnel) should also be considered, Mr. Singh said. “The workload on an average policeman is so much…at times they get meals only once in 18 hours times. You can understand the mental state of such a person…after all, every policeman is an emotional creature too,” he said. The Home Minister recounted his early life days in politics and said he was once had to dislike intensely by the rude behavior of a Deputy SP rank officer in Mirzapur district of Uttar Pradesh when he went to meet him regarding a murder probe. “The officer hurled all kinds of abuses on his Inspector who was handling the case. I told him that I do not approve of such a behavior and I left his office even as my work was not done,” he said. You should always lead by example and exhibit very good behavior and also promote good work culture, the minister gave advise to the police brass in attendance. The minister directed the Bureau of Police Research and Development, the think tank on policing subjects, to work and strengthen the capabilities of the all agencies vis-a-vis the use of drones, unmanned aerial vehicles (UAVs) and forensic techniques all while rendering law and order duties and investigations. Mr. Singh also talked over the subject of coastal security and said all the stakeholders in this domain– the Navy, Coast Guard, and coastal police – the strict need to enhance their coordination to effectively thwart threats to the Indian maritime boundary that is over 7,000-km long.